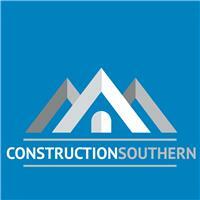 Welcome to the profile page of Construction Southern Ltd. Thanks for taking the time to look at our company. We are a Horndean based building company covering all aspects including Kitchens and Bathrooms - Extensions and Refurbishments - New builds -Driveways and Landscaping. We aim to deliver a professional service and work closely with you the customer at all times. We are a partner Ltd company with over 30 years combined experience and a great team of reliable, fully insured and qualified tradesmen. We offer an architect and building regulation service, but are more than happy to work with plans that you might have already had done. We are always looking for exciting projects and can work with any ideas you might have for your home. Although always busy we aim to get out to you within 7 days and then return your full detailed quotation within 7 days. All works are set out by a program that we will make sure we stick to, with regular email updates of how the job is going. Please also browse our web page www.constructionsouthern.co.uk and also for updates and history our Facebook page construction southern. We look forward to assisting you with any enquiries and hopefully working on your project. We are now proud members of CHAS health and safety meaning all our sites and trades and fully heath and safety compliant.